The FARMALABO laboratories presente CHARIS KIT FACE ANTI AGE: two highly concentrated products, proposed in a unique treatment solution for a younger, healthy and beautiful visage. With CHARIS KIT FACE ANTI AGE, the exprets of the CHARIS line created a double treatment (visage and eyes area) aimed to preserve an always perfect, relaxed and bright visage skin. 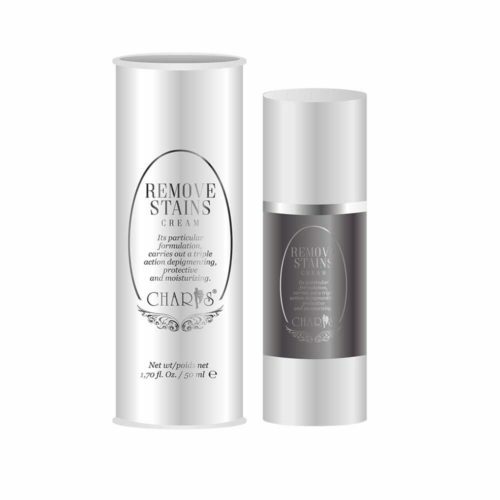 The secret is represented by the synergetic action of the two products contained in CHARIS KIT FACE ANTI AGE, CHARIS Anti Age Serumand CHARIS Eye Contour Serum. CHARIS Anti Age Serum, a serum exclusively dedicated to the visage skin, rich in hyaluronic acid, biorevitalizing active ingredients, moisturizing agents and essential oils. 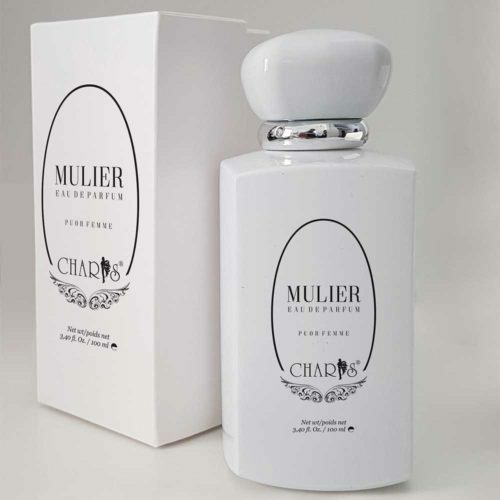 With a soft texture and a delicate fragrance, it distinguished itself for its extraordinary anti-age properties representing in this way a treatment against the signs of the time. The ageing and/or the use of tobacco tend to reduce the activity of fibroblasts, causing a minor production of hyaluronic acid and a decrease of the collagen synthesis. Collagene and elastin are basic substances that lend the skin compactness, turgescence and elasticity. 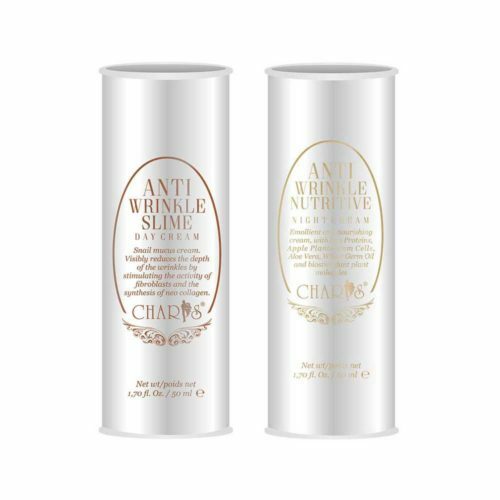 CHARIS Anti Age Serum, with its innovative formula, produces the hyaluronic acid quantity that is suitable to contrast its impoverishment, recreating the physiological conditions for a young skin. If daily applied on the visage skin, it supports the production of collagene and elastin, visibly attenuating the wrinkles depth and contrasting its reappearance. CHARIS Eye Contour Serum, is an intensive treatment specific for the eyes area. Its excellent formulation, with its extraordinary nourishing, emollient, hydrating and biorestructuring properties is largely composed of hyaluronic acid and powerful antioxdidants, biostimulating active ingredients and noble essential oils. With a light and comfortable texture it gives an evident lifting effect to the treated area. It causes the reactivation of the periorbital microcirculation and thanks to the vehicular molecules it introduces the hyaluronic acid, the anti-oxidants and the vegetal active ingredients in the subcutaneously layers, removing the periorbital edema and returning tone and elasticity to the palpebral tissues. The structural proteins, with the essential oils that operate in the surface tissues, give a young and relaxed aspetc to the gaze, adding hydration and sparkle, minimizing the bags under the eyes and slowing down the formation of wrinkles. The synergistic action of the two serums on different areas of the visage contributes to the renovation of the epidermis in its complexity, starting from the deepest layers, protecting it from the free radical, facilitating the cellular tour over and lending it sparkle, uniformity and an extraordinary lifting effect that is visible since the first applications. 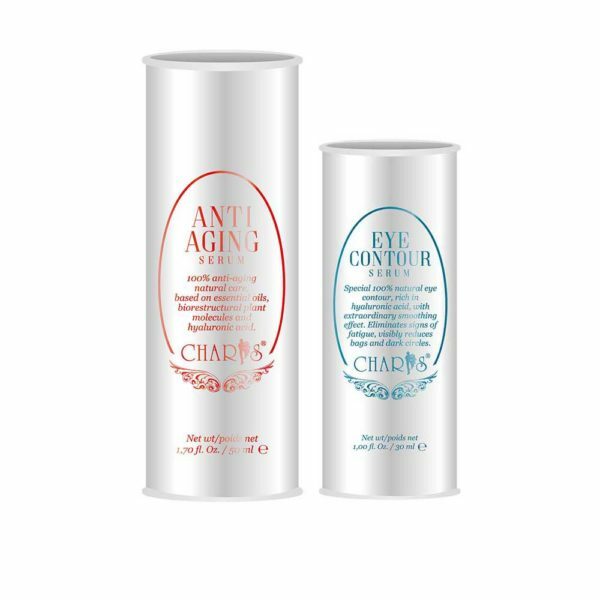 The powerful anti-age action of CHARIS Anti Age Serum and of CHARIS Eye Contour Serum is the result of an attentive scientific research that produces an extraordinary blend in which every single ingredient conducts a specific activity. CHARIS Anti Age Serum and CHARIS Eye Contour Serum are proposed in an airless packaging that guarantees the hygene, avoids the product oxidation and preserve the active ingredients integrity. It is tested on women aged between 30 and 65. The extraordinary improvement of the treated areas, reported through images and clinical reports certified by the best European laboratories, confirm the highest standards of security and effectiveness of our products for our costumers. Even though the lifting effect is visible since the first applications, it tends to increase gradually through a constant and ongoing use. After a few weeks the skin will appear smoother, brighter, tonic and more uniform. Apply CHARIS Anti Age Serum every day twice a day (in the morning and at night). Distribute it on the visage and on the neck lingering on the critical areas and gently massage. During the massage it is recommended to do some circular movements accomplishing a light pressure with the fingertips, in order to promote a better absorption of the active ingredients. In can be clinically used as a maintenance treatment with your normal visage cream. Apply CHARIS Eye Contour Serum every day twice a day (in the morning and at night) BEFORE the Anti Age Serum. With clean fingers, apply small quantities of product on the external corner, on the central area and on the internal corner of the eye area. Then, starting from the internal corner and helping yourself with the ring finger, distribute uniformly the serum on the whole area to be treated with a circular movement.